Like any other medical facility, dental clinic also needs its own software. Customers accounting, control, electronic patient records, as well as the calculation of employees’ shifts- all this and much more is possible with our dental program. In the dental clinic, work also begins with the opening of the patient card. The dental software keeps electronic records of patients placed in a single database. It is quickly and easy to search a patient in the database. Dentist works and leads the medical history of the patient in a specialized software module called "Medical card of teeth". This card shows the adult and children's dental formula, and it is possible to note the status of each individual tooth of the patient, then to the oral cavity. The dentistry software allows you to make and print pretreatment plans, which can then be issued to the client, so that he will finally see the final amount for the entire treatment. The dental system has a built-in database of ICD (International Classification of Diseases) and a dentist, using this database and certified by a head physician treatment protocols, fulfills the patient’s card. In addition, a dentist can create a task for the technicians working in a dental laboratory. The dentist can also view all the lab results of his patients, without leaving the office. The dental software program generates consolidated reports for any specified period of time. The head of the organization will be able to see reports on the work of each individual employee as well as on the whole organization. Registers in the dental clinic are filled automatically, after setting of relevant parameters in the dental software programs. The software for dental marketing produces any required analysis of data on customers, treatment, services rendered, employees, materials and so on. The software for the dental clinic also supports the sending of SMS-messages, i.e., you can remind a patient about the upcoming appointment in advance or about the readiness of his prostheses. If there is a pharmacy, it is possible to sell goods. In this case, it is possible to use an equipment such as barcode scanner and label printer in order to account goods and medicines properly. The dental management software allows you to analyze the costs of dental clinics and create appropriate reports. In addition, the head of the organization has a possibility to generate a report on employees, allowing revealing which dentist brings the most revenue to the clinic and attracts patients. There is a free demo version of the dentistry management software that you can download from our website. 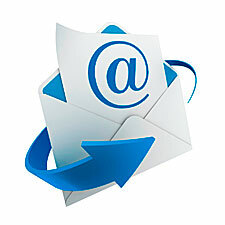 Contacting us by e-mail with your request. Your dental clinic will become a reliable, single and controlled mechanism. Complex automation of your dental clinic - this is exactly what you need to successfully run your business. Start the business automation with us! Dental practice software has a unified customer database. You can create a preliminary appointment to any doctor or lab. It is possible to add a personal shift to any doctor in the dental program. Dental programs calculate piecework wages. Dentistry program calculates time spent on work. Dental software keep a whole visit history of each client. Dental application stores all the results of analysis and examination. Dentist program stores the results of all researches, analysis and X-ray images. The dental system generates a medical card for any patient with a further control. It is possible to create an individual dental card for each patient in the dental software program. Dental systems automate the formation of all forms and statements. You can download a free demo-version of the dental marketing software from our website. It is possible to add medical conclusions in the dental software programs. The dentistry system can contain the administrative and economic analysis of activity of the organization. Dentist programs automatically generate a form of mandatory medical reporting. Each doctor can create his own templates to fill in the patient's card in the dentist software. The dentist system has a list of medical, surgical and orthopedic diagnoses. Dental practice software can automatically write off materials after medical procedures. You can found out the most competent doctor using the dental management software. Continuous monitoring of the activities of the clinic will be possible with the dentistry management software. Dental office software is a modern way of business management. The software for dentists has an electronic medical history and individual templates to fill in the patient's card. You can make an appointment in the orthodontic software easily. Dental softwares provide the automation of the entire working process. You will forget about all problems in your dental clinic using our dental patient software. With the dentist office software organization of management accounting becomes easy. Medicare dental program takes into account the working time of employees and the performance of their work. You can sold products, goods and materials taking into account possible discounts with the dental lab software. The software for dental practice management has automatic payroll preparation. You can attach graphics: pictures and photos to the dental software system. Dental program for computer controls materials. Quality control of dental clinic with dental billing software. You can account dental offices and dentists in the dental computer software. In addition, you can send sms and email to patients using medical dental software. Dental practice management software generates any consolidated financial statements. You can create an unlimited amount of price lists in the dental assistant programs. Dental management software tracks cash and cashless payments. Dental clinic software includes a detailed audit of the actions of all users. There are plenty of additional functions in the dental assistance program.